One of my best friends moved to Colombia two years ago and I had been dying to visit her. She told me many times about the annual flower festival that takes place in her hometown of Medellín every August, so when I was finally able to make the trip, there was no question as when to schedule my visit. This week-long festival is basically a national holiday, and the people of Medellín consider it a great source of pride. 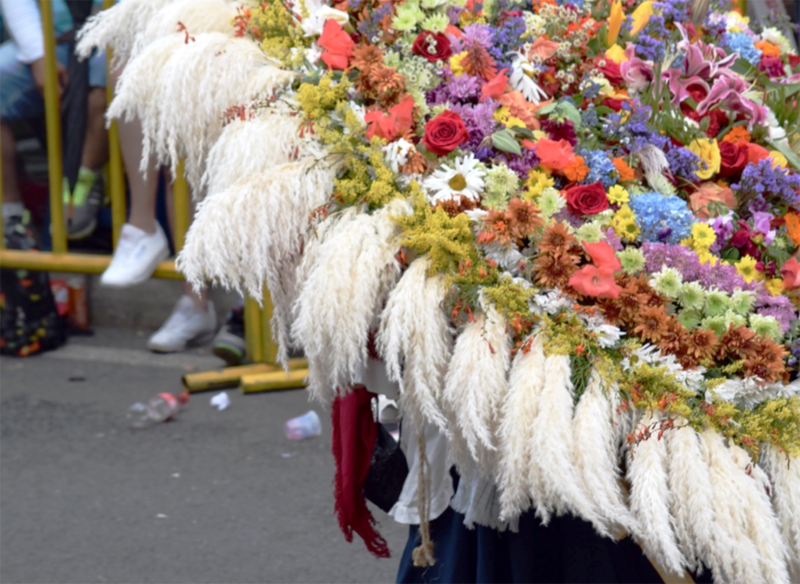 The Silletero, the traditional flower farmer who carries the flowers on their back in the main parade is the emblem of the city, and flowers are one of the major exports out of Colombia to the rest of the world. Feria de las Flores lasts for about a week with events all over town but the grand finale is the Desfile de Silleteros, a parade in which flower famers carry silletas (large floral displays) strapped to their backs for miles. There are various types of silletas: the traditional smaller size, larger, monumental versions with designs and pictures, and countless recreations of corporate logos. 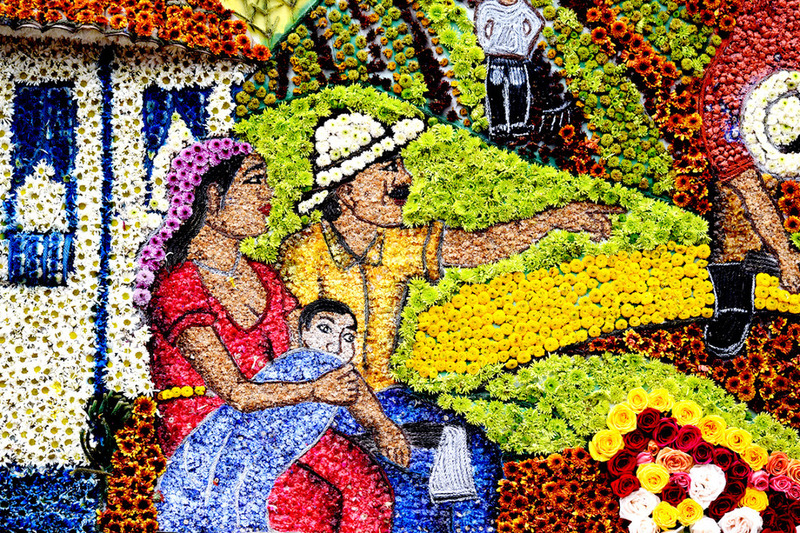 As the farmers trudge along with these huge flower creations, they are accompanied by boy & girl scouts feeding them water and assisting with the weight. The crowd cheers wildly to encourage the older men and women who hold their family and cultural heritage so heavily on their backs. And they just keep coming, at times all you can see are these floral monstrosities lumbering off into the distance in a sea of colors. I have never witnessed such a level of enthusiasm maintained for so long, the parade lasted about 5 hours and the energy never dropped. It was extremely moving to see an entire city of people so excited about the beauty of flowers and those who grow them. 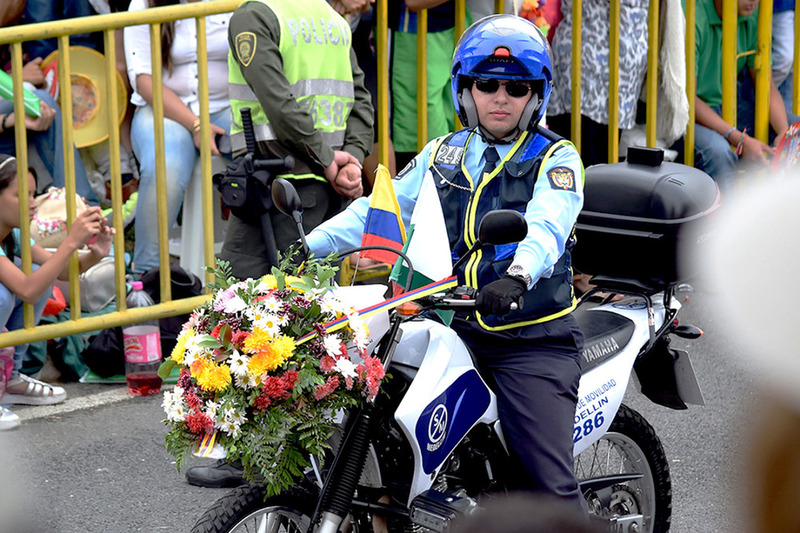 And every city organization was out and displaying their floral pride, with police motorcycles adorned with elaborate bouquets and even garbage collectors proudly wheeling trashcans overflowing with flowers down the middle of the street. There were numerous marching bands, some even performing on horseback, enthusiastic groups of dancers in traditional costumes, celebrities and radio station personalities atop trailers blasting music and confetti. The parade began in the 1950s but the silletos have a deeper significance that goes much further back. Originally these chair-like contraptions were worn on the backs of slaves who carried wealthy travelers across the steep mountainous terrain. Later the chairs were used to carry goods sold by merchants. The festival celebrates not only the pride of the flower farmers, but also the end of slavery and the independence of Antioquia. 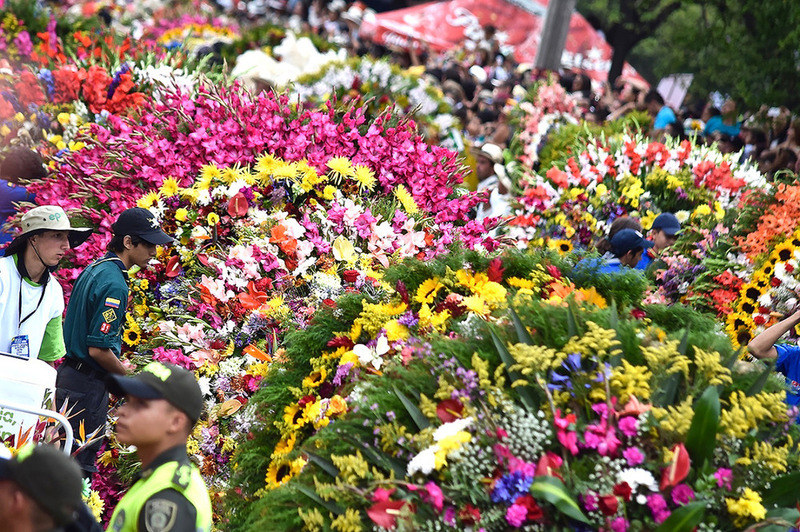 Once a year, the farmers from the mountain town of Santa Elena come down into the city and are celebrated like rockstars, and their amazing flower displays prove just why they are worthy of such praise. I am already thinking about how I can witness this amazing spectacle again in the future, or even possibly get involved somehow!